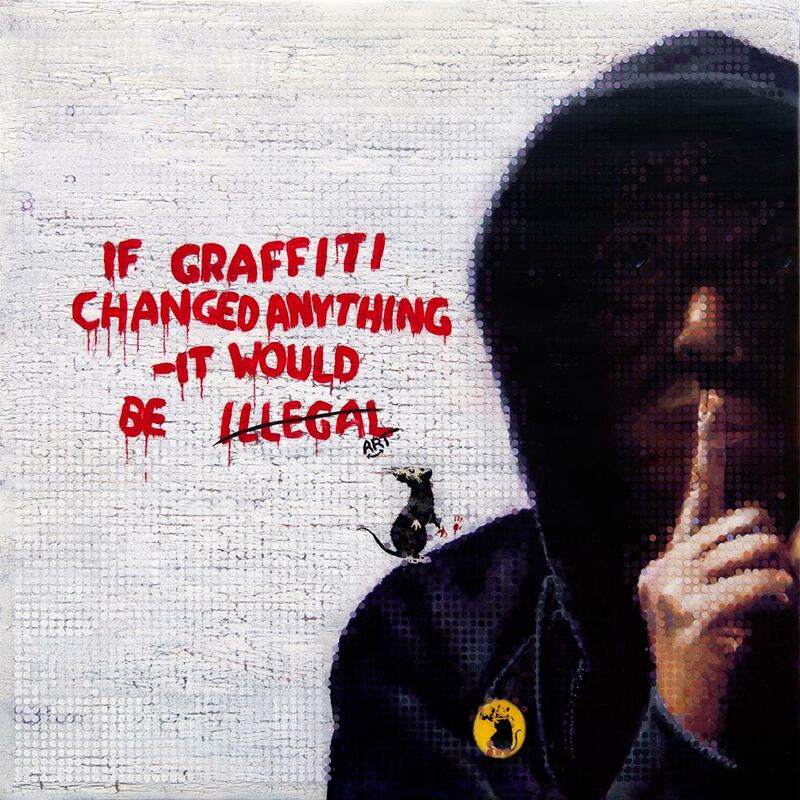 It’s been quite a journey making ‘BANKSY – If Graffiti changed anything…’. I’ve had conversations with some remarkable people in the making of this piece, from the very young and enquiring to the old and agile. I learn so much in the process of these paintings and they have a habit of throwing something in from left field. As it turns out, painting BANKSY was no exception. One of the more surreal conversations was with a BANKSY alter ego in the form of a Twitter Bot called Bot Nanksy @nobanksy (A Twitter Bot is a Bot designed to create automated posts on Twitter). Admittedly not quite a conversation as the Bot doesn’t have an extensive vocabulary. To give it its due though, it does know what its intention is. You can find out or figure out for yourself at https://twitter.com/nobanksy. As ever a big thank you to all who participated in the making of ‘BANKSY – If Graffiti Changed Anything…’ It’s been fun, thought provoking and enlightening. A special thanks to the folks at Tunbridge Wells International Art fair for allowing BANKSY to be painted by visitors and take centre stage during the Art Fair. Along with Churchill’s Black Dog, BANKSY is off to be framed and then on it’s way to the new Clifton Art Gallery in Bristol. A fitting place to be shown. It feels a bit like coming home. I’ve captured some of the moments and thoughts during the making of ‘BANKSY – If Graffiti Changed Anything…’ including a couple of videos of those that helped paint it.